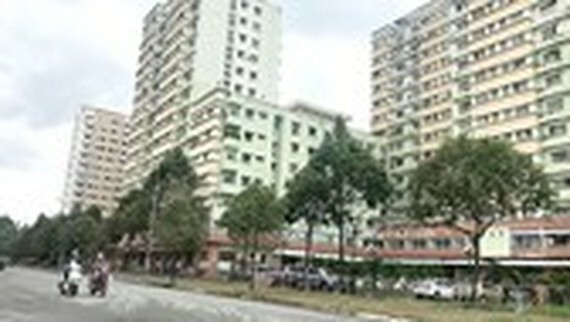 A meeting on the plan of housing development in 2019 was presided by Deputy Chairman of the Ho Chi Minh City People’s Committee Tran Vinh Tuyen and related agencies on March 22. In the meeting, representative from the Department of Construction said his department has consulted People’s Committee on the housing development project policies. According to the consultation, housing development policies ought to go along nicely with the city’s housing program in the period 2016 - 2025 and plan of housing development in the period 2016 - 2020 which had been approved by the municipal People’s Committee. Moreover, the policies must be in accord with housing development step in each area’s priority and restriction. The requirement that housing project included in the list of projects attached with the city’s plan will be approved is not suitable with the present regulation; especially, for new projects that have not been added in the list. The requirement will be barrierS for enterprises in carrying out housing development projects as well as completing construction legal paper work. For these new projects that have not been added in the list, the Department will guide investors to finish paper work as per the present law of construction investment. What is more, district administrations must review the legality of the housing projects in the jurisdiction and update its list of housing projects for supervision and analysis of the housing development in each district. This will be for the city’s housing development plan in the period 2021-2025. For these housing projects which are scheduled to be completed during 2016-2020 because lack of unfinished paper work, the department will continue reviewing and liaise with district administrations to re-consider them. If these projects can be complete before 2020, they will be added into the list of housing project from now to 2020 to serve for the statistic of houses during 2016-2020. Housing projects approved by People’s Committee will be announced publicly as per the housing law. In reality, lots of housing projects have finished formalities but delayed because they have not been added into the list. Accordingly, the Department of Construction petitioned People’s Committee to remove barriers to facilitate enterprises. Deputy Chairman Tuyen concluded that housing projects must go along nicely with the city’s plan. Moreover, authorities must consider various factors including investors’ capability, infrastructure, and population density in each area before approving projects.